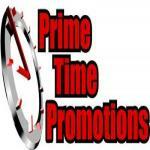 Sign up for Broadjam today to follow Prime Time Promotions LLC, and be notified when they upload new stuff or update their news! G.J.S. new "Roll It Roll It" single song music video.